Spring may not be here yet, but will you’re power equipment be ready when it is? 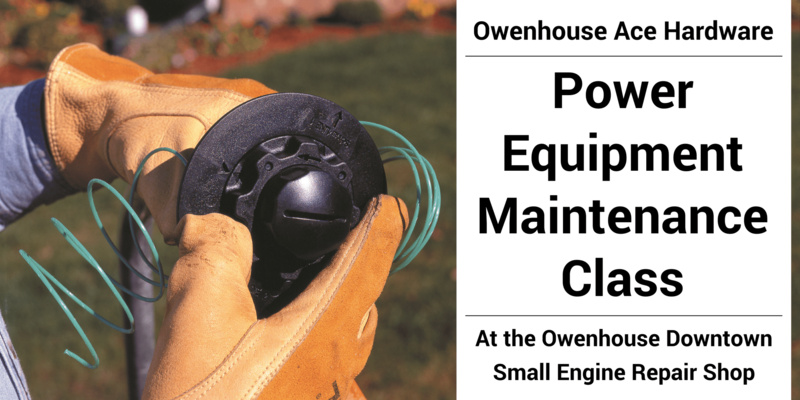 This FREE 2 hour class will cover general maintenance of lawn mowers and trimmers. Learn how to unflood your equipment (it happens to the best of us! ), give your lawnmower a basic tuneup, and wind a trimmer head. We’ll also show you how to properly store equipment when you’re ready to put it away for the season. Owenhouse Repair Shop manager David Cardona, along with other knowledgeable Owenhouse employees, will not only cover this information and more, but also offer demonstrations and answer questions. The class will be held in the Repair Shop, located across the back alley from Owenhouse Downtown. Drinks and snacks will be provided.